Soon to be a major motion picture starring Yara Shahidi and Charles Melton! The #1 New York Times bestseller and National Book Award finalist from the bestselling author of Everything, Everything will have you falling in love with Natasha and Daniel as they fall in love with each other! 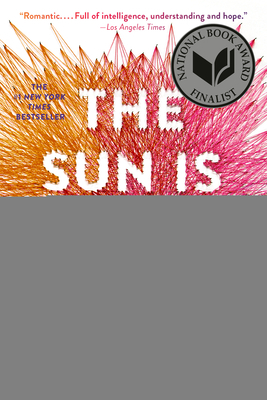 NICOLA YOON is the author of the #1 New York Times bestsellers The Sun Is Also a Star and Everything, Everything, her debut novel, which was turned into a major motion picture. She grew up in Jamaica and Brooklyn and lives in Los Angeles with her family. She’s also a hopeless romantic who firmly believes that you can fall in love in an instant and that it can last forever. Follow @NicolaYoon on Tumblr, Twitter, and Instagram.